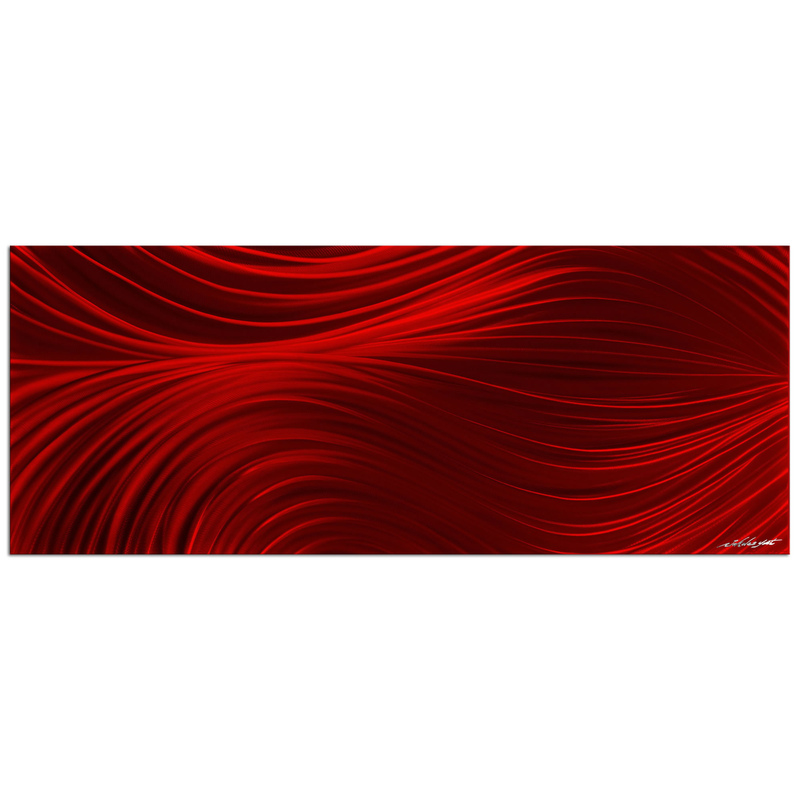 The 'Passing Currents Red' is one of a select few in a new line of rich, deep red metal giclees featuring patterns developed by abstract metal artist NAY. These striking crimson red designs have an inexplicable draw, catching eyes and pulling the viewers in with an inherent gravitational pull. 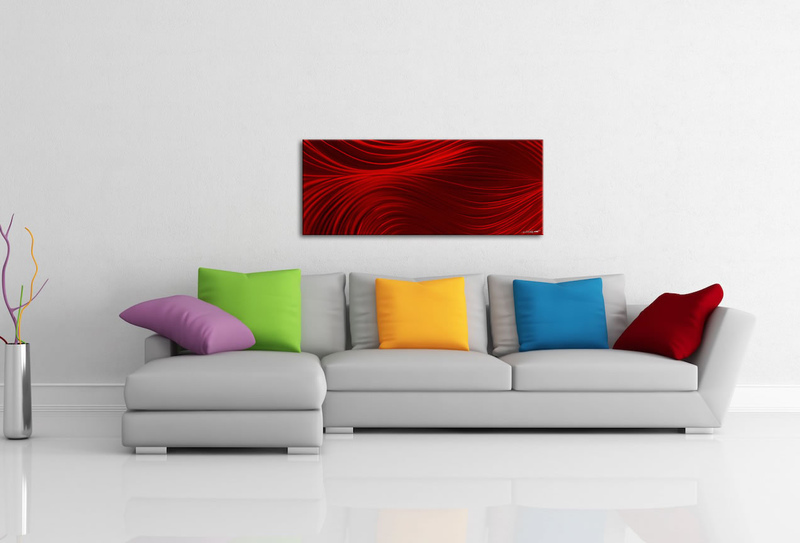 The vibrant reds make a bold statement in any setting, and are not for the faint of heart! This vigorous red Decor expresses love, passion, romance and desire, as well as strength, leadership, courage and determination.